There's an interesting new development on the Elizabeth Warren front today. But, before I get to that, some backstory. 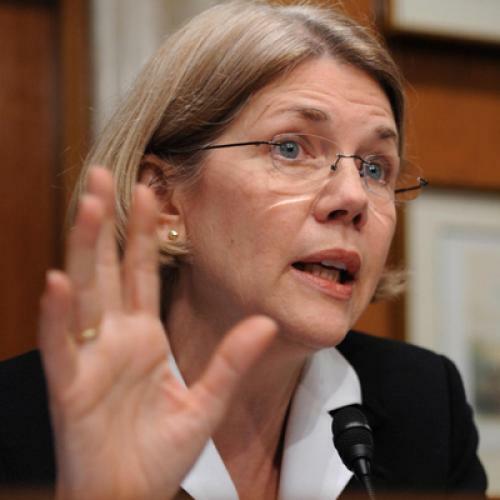 I've written before about why Warren is likely to be confirmed as head of the Bureau of Consumer Financial Protection if the president nominates her. Basically, some key Republicans, like Chuck Grassley and Olympia Snowe (and even Jim Bunning), seem to like her. And while a number of moderate Democrats have serious reservations about her, it would be extremely difficult for them to oppose her nomination at a time of deep anti-Wall Street sentiment, as a senior aide to one such Democrat told me. As I wrote in the earlier piece: "Hoping the president will choose another candidate—something that describes several Senate Democrats—isn’t the same as opposing his eventual nominee." In a way, the political dynamics of the Warren nomination would be very similar to the dynamics governing the derivatives provision Blanche Lincoln inserted into the financial reform bill this spring. (Lincoln proposed forcing big banks to spin off their derivatives operations into seperately capitalized subsidiaries.) The big banks hated the idea, and a lot of moderate Democrats wanted it out of the bill. Even some left-of-center reformers weren't convinced it was great public policy. But because no senator wanted to be accused of killing it, Lincoln's provision passed the Senate and made it all the way into the conference committee. A compromise version of it became law. The advantage Warren has, of course, is that if her nomination clears the Senate, she gets the job--no conference committee required. That and the fact that any fight over the head of a consumer agency is a lot easier for the average American to understand than the details of derivatives regulation. 1.) Even if Obama can get the 60 votes he needs to confirm Warren, that probably comes at some cost in the Senate, since the moderate Dems who grudgingly vote with him may feel less favorably disposed on the next tough vote--and that may be an issue where they have the political space to oppose him. I'd say that's the biggest White House political consideration at this point--not whether Warren can be confirmed, but at what cost in terms of goodwill among Senate Democrats. 2.) What kind of reach does the Warren nomination, and a potential fight over it, have outside Washington? As I noted toward the end of my earlier piece, it's never been entirely clear whether the average American knows or cares who Warren is--as opposed to liberal interest groups, who care very much about her nomination. The White House would obviously want to make sure the political upside to nominating her is reasonably big, given the aforementioned costs on the Hill. *Andy Kroll, a blogger at Mother Jones, accused me of blithely taking the banks at their word when I reported back in July that they were publicly staying mum on Warren. My point was that big banks--banks that could be described as Wall Street banks--have kept quiet, not all banks. The lobbying groups Kroll cites as weighing in--the Oklahoma and Nebraska Bankers Associations--are exactly the groups you'd expect to join the fight, since they can plausibly make the Main Street argument. Not so with Citigroup and Bank of America, or the big-bank lobbying groups like SIFMA.